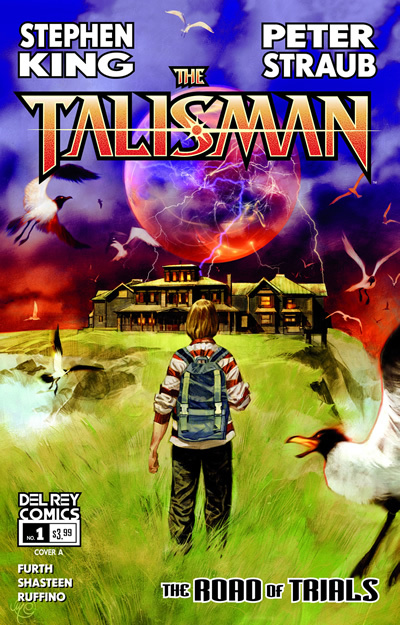 THE TALISMAN novel, originally published in 1984, is the story of a teen boy named Jack Sawyer, who can save his dying mother only by retrieving a magical talisman. 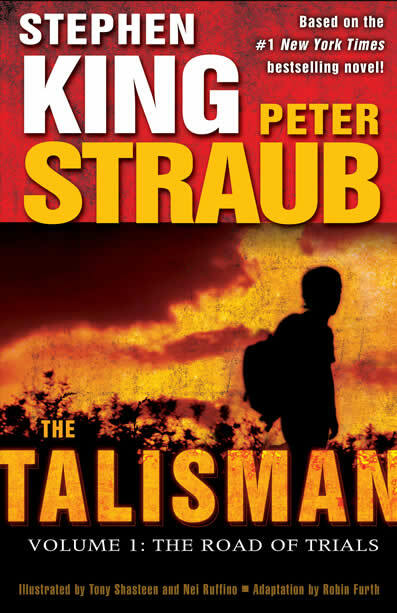 To find it he must cross back and forth between our world and the frightening and dangerous landscape of its “twinner” counterpart. 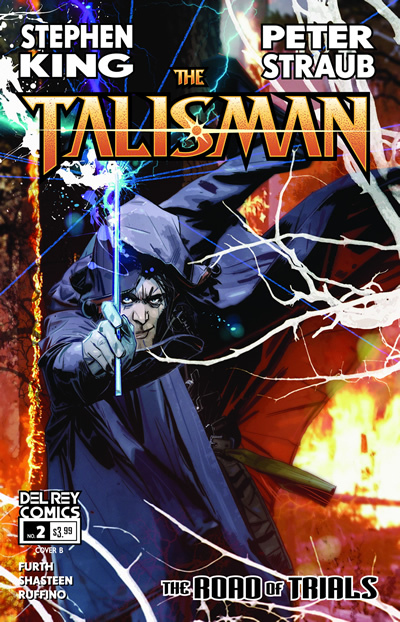 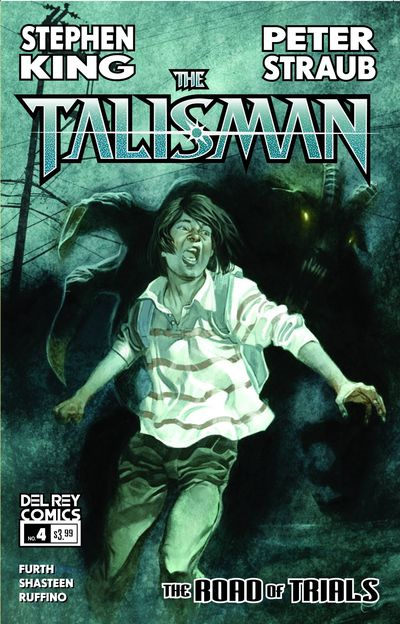 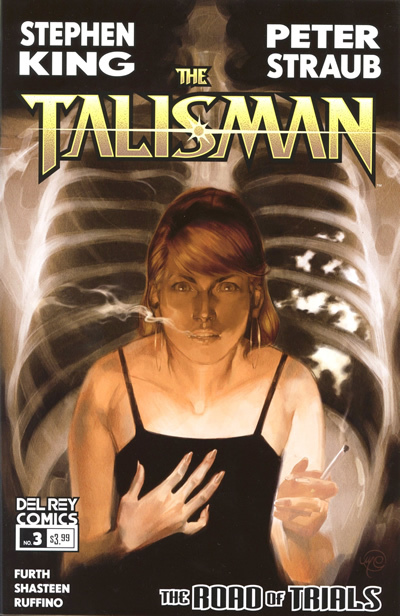 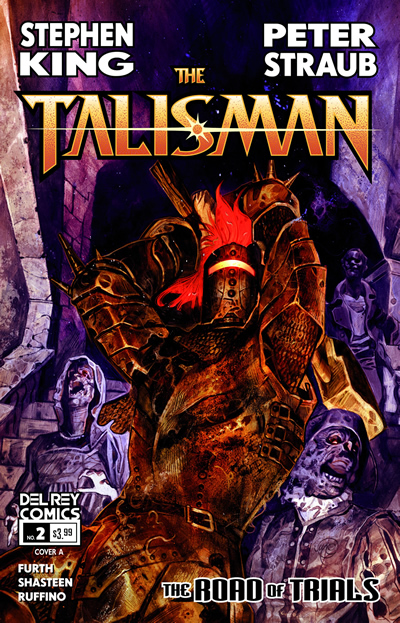 The adaptation begins with THE TALISMAN: THE ROAD OF TRIALS Issue 0, which is the first issue of the first miniseries arc. 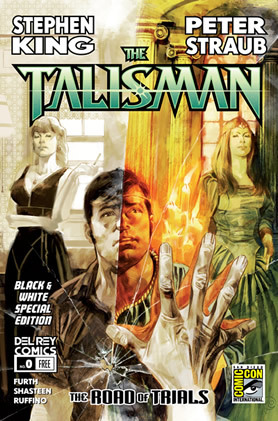 The comic is an entirely new reading experience for fans of the novel, and also has new, exclusive material. 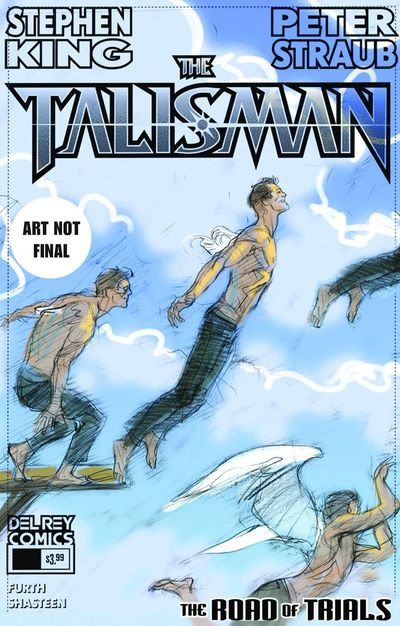 Issue 0 is a never-before-told prequel to the story that follows the dual lives of Jack’s father—one that he lives with his family in the world as we know it, and the other in a mystifying land known as the Territories. The Dark Tower | The Stand | The Talisman | American Vampire | N.